Sitting at my desk here at Verne & Ellsworth Hann, there is a vent located almost directly above me. I can’t lie, I love this vent when it’s blowing warm air on me in the middle of a freezing Northeast Ohio winter. But now that it’s summer and the vent blows cold air from the cooling system, I literally sit here with goosebumps all day! Do you experience this problem at your job or in your home? 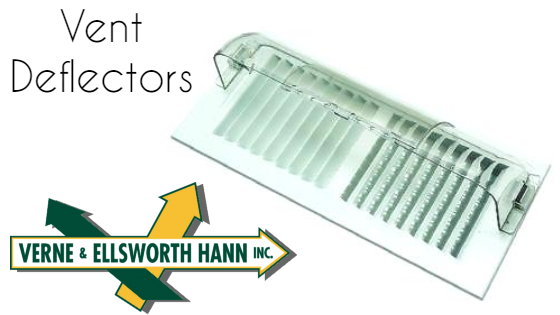 A fantastic and inexpensive solution is a vent deflector. It easily attaches with magnets or screws to your vents and redirects the air. There are models to fit all shapes and sizes of vents. I can honestly say, the vent deflector that was simply installed on the vent above me has helped tremendously! I still get the benefit of the cool air without it blowing directly on me. If you’re having this same problem, I highly recommend a vent deflector. Who knew such a simple item could be so effective? From repairs and installations, to simple fixes like a vent deflector, call Verne & Ellsworth Hann for all your heating and cooling needs. 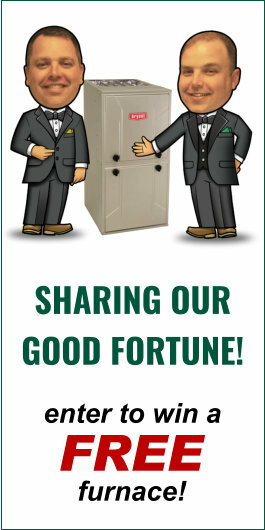 Located in Cleveland Heights and servicing Northeast Ohio for over 63 years, Verne & Ellsworth Hann is a 5-generation company and the ONLY Hann family owned heating, cooling and plumbing company in Cleveland.